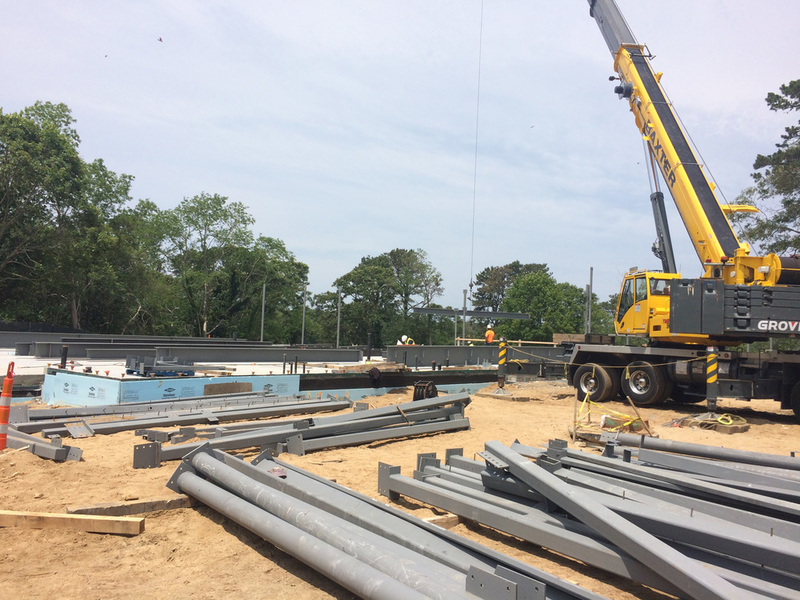 Update: Steel arrives at Eastham! After a slow start due to a long winter, steel finally arrives at Eastham. Once all of the structural steel is in place, framing will begin at the lower level.